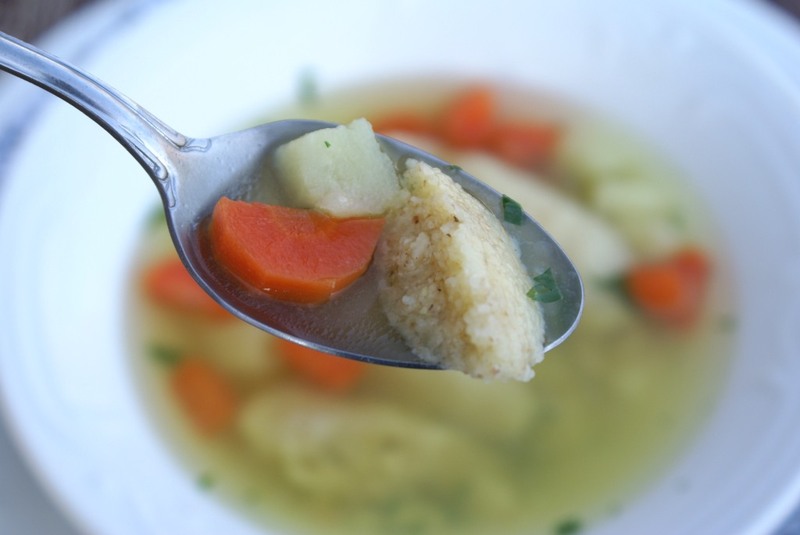 As per request of one of my dear readers, I wanted to introduce this much loved soup of our grandmothers. I am not sure where the soup originates from (Austria perhaps), but it is well known all over the old continent. It is delicious, easily made and filling. 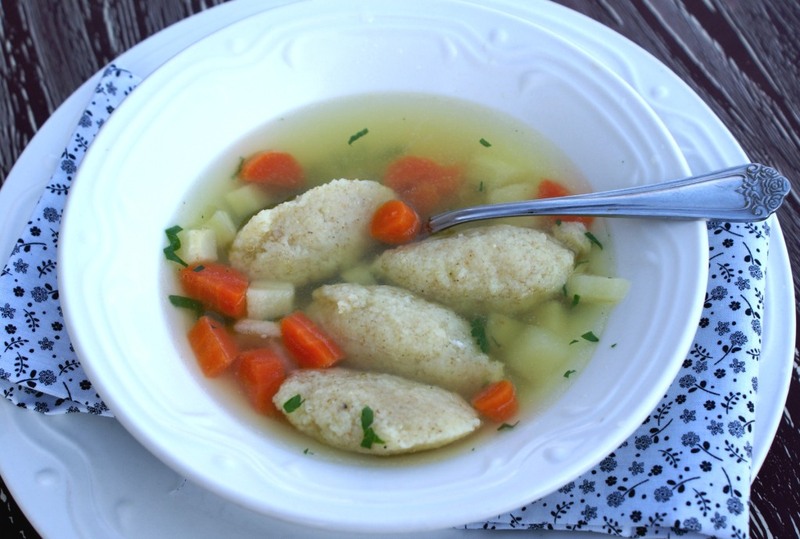 The base for the soup can be chicken or veal stock and dumplings are made from farina flour. This flour is coarse and resembles grits, but unlike grits, it is made from wheat. Apparently for many years I was confusing the name for semolina and farina flour. I recently learned that semolina is mainly used for making pasta and gnocchi and farina is used as cereal (cream of wheat). In Bosnia farina is called griz and in Germany grieß. We mainly use farina for dumplings and desserts. If you happen to go through my recipe index, my Semolina Pudding should actually read farina pudding (I promise I will change that). In a stock pot filled with water add chicken and all the vegetables. Bring it to a boil and then lower the temperature and simmer for about 30 minutes. Strain the stock and set aside all that’s left in the sieve. Return the clear stock into the pot. Finely chop chicken, carrots and parsnip and put back into the stock. Onion, celery, and parsley can be discarded. Spice with vegeta, salt and pepper. Let it simmer lightly. 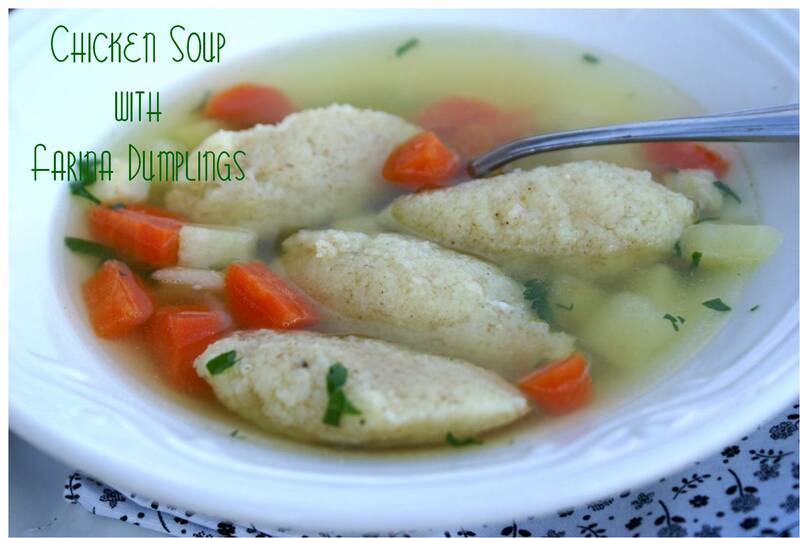 Dumplings need to be prepared immediately before you want to add them to the soup. Do not let the dumpling mixture sit and wait, because they will not turn out good. 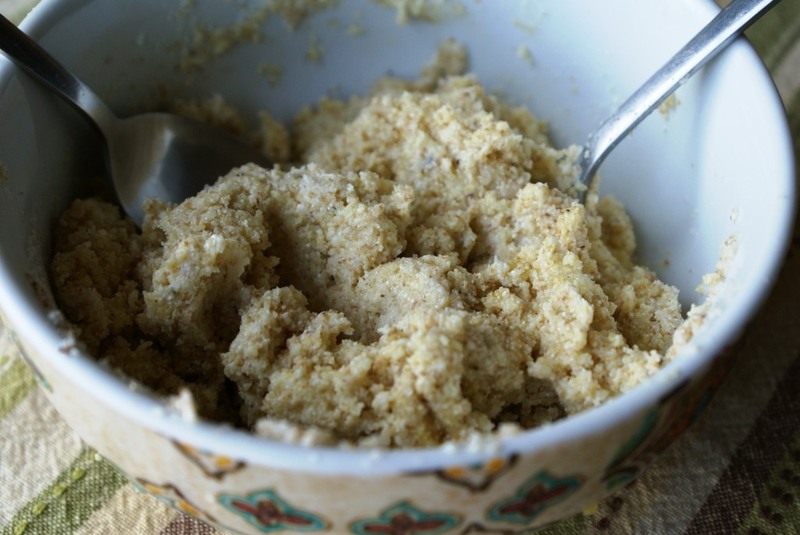 For the dumplings combine farina with salt, pepper and nutmeg in a small bowl. 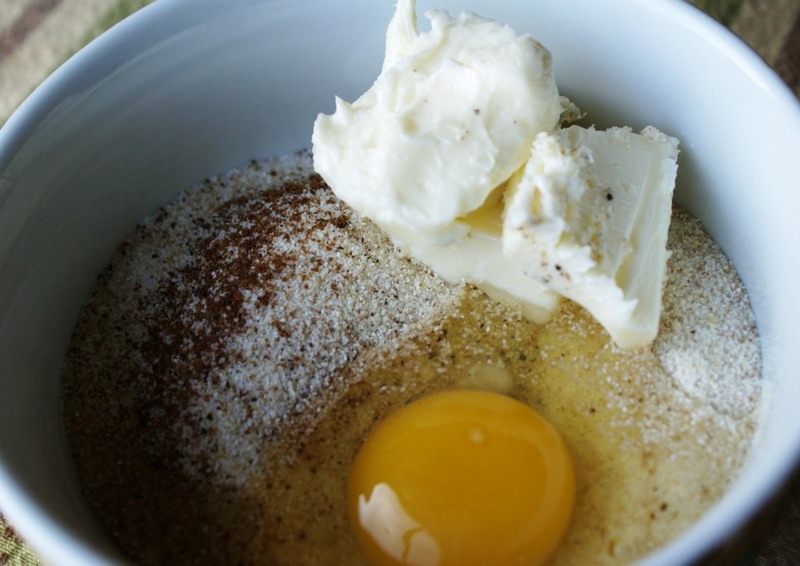 Add softened butter and egg and make a mixture gently mixing with a fork. Do not use electric mixer. Do not over mix. Take a small spoon and grab some of the mixture. 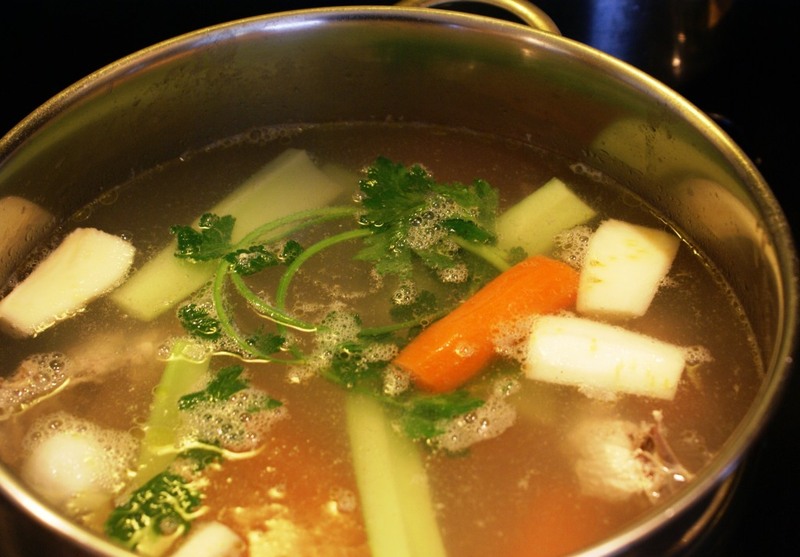 With another spoon help shape the mixture into a nice oval and put it into simmering soup. Work fast. Dumplings will start expanding and coming to the surface. When they are about triple in size, turn off the stove, add chopped parsley to the soup and let it sit for about 5 minutes before serving. If dumplings are made right they will have a soft consistency, somewhat grainy texture and will not be hard or fall apart. 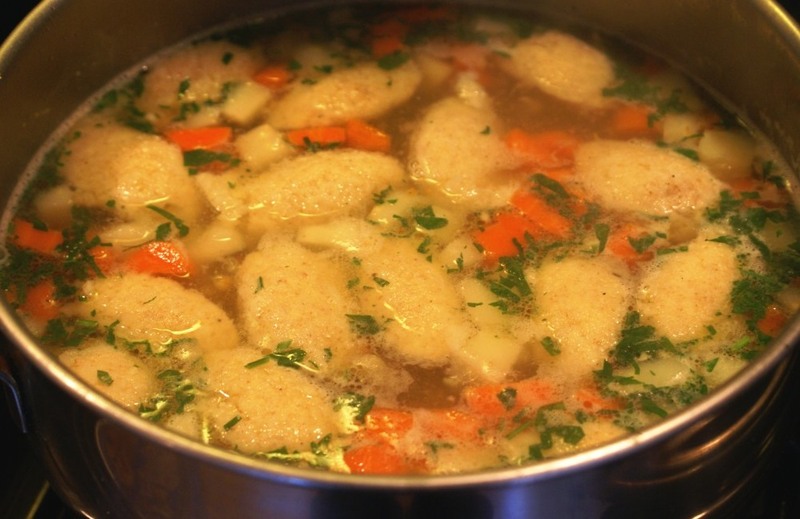 *** I suggest not to make these dumplings with hands as you may squeeze and press the mixture too much and then they will be too hard after they are done.